The first round of talks in the giant Transatlantic Trade and Investment Partnership deal are due to begin next week but the latest NSA spying claims have thrown negotiations into doubt. European Union officials have expressed outrage at the NSA for bugging embassies of a US allies including France, Japan and Turkey. "We can't negotiate a large transatlantic market if there is any doubt that our partners are bugging the offices of European negotiators," warned EU commissioner Viviane Reding. French president Francois Hollande was even more forthright. "There can be no negotiations or transactions in all areas until we have obtained these guarantees, for France but also for all of the EU, for all partners of the United States," he said. Last month, when the TTIP was launched, David Cameron branded it "the biggest bilateral trade deal in history." But do the NSA bugging allegations mean the deal is history before it's even begun? These are worrying times for the people who built the agreement, and those who spent time and effort lobbying for it. Who Will Keep the Show on the Road? There are some pretty powerful interests who'll be trying to keep the TTIP show on the road. Reding met some of them in June when she attended the Bilderberg conference at the Grove Hotel in Watford. The three-day private policy summit was packed with pro-TTIP lobbyists, alongside many of the political architects of the deal, including Cameron, Conservative minister Kenneth Clarke (described as "a key negotiator in the [TTIP] trade deal") and president of the EU Commission José Manuel Barroso. Downing Street described Cameron's official visit to the conference as "an opportunity to discuss economic issues with senior ministers, business people and academics". Bilderberg's line-up of "business people" was as impressive as ever, with dozens of top corporate CEOs, billionaire venture capitalists, and high-level banking and finance lobbyists. The list of delegates included senior members of the international advisory board of the lobby group BritishAmerican Business (BAB), such chairmen of Goldman Sachs International, Shell, HSBC and even editor-in-chief of the Economist John Micklethwait. Lobbyists don't come any more heavyweight than that lot. BAB describes itself as "the leading transatlantic business organisation, committed to promoting an open and competitive transatlantic business environment for our member companies to build their international business". Working Hard - But How? Well, for one thing, BAB "actively engages with government to ensure that our members' interests are taken into account during policy development and implementation". Top of the 2013 Bilderberg conference agenda was the question: "Can the US and Europe grow faster and create jobs?" The answer, presumably, was TTIP - an agreement which, according to the White House, will aim to boost economic growth in the US and the EU and add to the more than 13 million American and EU jobs already supported by transatlantic trade and investment. So here, at the same private conference, we've got the politicians who are putting together the TTIP deal (Cameron, Osborne, Barroso, Clarke) discussing it in private - and off the record - with a bunch of powerful people who are actively lobbying for it. The issue here is not whether the TTIP will provide a boost to growth and jobs. It's about unregulated corporate lobbying and its role in the formation of "the biggest bilateral trade deal in history". Should we be worried that Clarke and Cameron and the other finance ministers were being lobbied with zero press or public oversight? According to Clarke, there's no cause for concern. On the Monday after Bilderberg, Clarke was called to face questions about the conference at parliament and he assured his fellow MPs that "no one alters their opinions when we are there." Lobbying simply doesn't work at Bilderberg. It's a special place in space and time where politicians are immune to influence. It makes you wonder why they spend so long discussing things, year after year, if no one who attends alters their opinions. They might just as well stay locked away in their hotel rooms, flicking between QVC and true-life movies about baseball players with hepatitis. Clarke gave parliament a curiously skewed description of the Bilderberg conference. "The people who attend," he said, "are drawn from the worlds of government, politics, academia, defence and journalism." No mention, oddly, of the two main sectors represented at the conference: high finance and big business. According to Clarke's jovial caricature, the conference is merely "an off-the-record, informal discussion" between people "who are indeed distinguished, but who are not remotely interested in getting together to decide or organise anything." Clarke is wilfully missing the point. Plenty of the people there (Barosso, Osborne, Lagarde, Cameron & Co.) are absolutely in the business of deciding and organising things (things like, for example, international trade deals). And plenty of other corporate delegates are obviously "interested" in how these decisions are going to be pan out. A large number of them are senior members of powerful lobbying organisations; in many instances, they're the heads of these lobby groups. It's their job to try and make sure things are "organised" in favour of the business interests they are representing. It's not that lobbyists shouldn't lobby, or that politicians shouldn't thrash out issues with interested parties. The problem is how, at the Bilderberg summit in particular, the lobbying gets done. And then gets chuckled off as nothing by the likes of Clarke (a member of the Bilderberg steering committee). At least the lobby groups themselves are pretty honest. "BAB has long been a supporter of the proposed trade deal" says the group's Managing Director, Jeffries Briginshaw, in a statement following the TTIP announcement. The question now is: how much of this "supporting" went on behind closed doors at Bilderberg? And if historically large trade deals are being discussed at Bilderberg by finance ministers, EU Commission presidents, prime ministers and high-finance lobbyists, how come that's taking place in private? The discussions at Bilderberg take place under "Chatham House rules", which are all well and good for ensuring a frank and open discussion, but they also give useful cover to powerful lobbying interests. Except for the lobbyists, of course. For them, it's Christmas. Next year in 2015, with the Atlantic treaty, Bilderberg will have fulfilled its long term purpose. 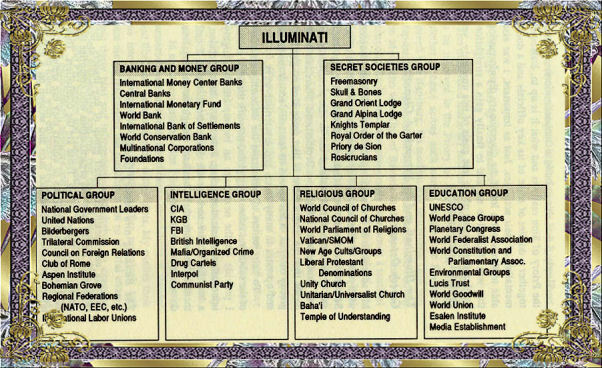 Bilderberg will control all spending and government appointments in the US of Europe and US of America etc - everywhere in the NATO countries will have fallen under their unspoken occult dictatorship. In 2015 Bilderberg will be the Atlantic union - indeed a dark force. 60 years of this cabal's continual work to counterfeit democracy through Bilderberg drones controlling political, banking, industrial and media appointments will have been fulfilled. Surely nothing could surpass the ‘Dodgy Dossier', the criminal conspiracy that led to the US and Britain, as the Arab League put it in 2003, to 'Opening the Gates of Hell in Iraq'? But with Stuart's appointment to oversee public scrutiny of UK military spending just two weeks before NATO's political cabal of which he's a member, the Bilderberg conference, meets in Copenhagen later this month, it is clear to those who still have eyes to see that those bloody lessons have not been learned and the worse could be yet to come. In 1943, half way through the war, the US power elite saw that, barring any big surprises, Hitler was going to lose World War Two, so their ‘War And Peace Studies Group’ of the Council On Foreign Relations (CFR) quietly began to prepare the Marshall Plan for the post-war world. Alongside the Office of Strategic Services (OSS), a sizable budget was set aside to fund a range of activities which would ensure Europeans didn't vote communist and were welded economically, culturally and politically to the US for the foreseeable future. With 1944 came one of Bernhard’s most important jobs: to supervise the Dutch underground in the run-up to September's liberation of large parts of Holland. Field Marshall Montgomery’s audacious airborne operation, the biggest in history, depicted in Cornelius Ryan’s 1977 film A Bridge Too Far, was codenamed 'Market Garden' and intended to end the war by Christmas. But instead of making contact with the Dutch underground, Bernhard’s 'King Kong' found some German soldiers and demanded to be taken straight to the Abwehr, German military intelligence. The allies’ plans for the airborne assault were in enemy hands because Bernhard’s precious Lindemans was a double agent. He had wrecked the allies’ all-important element of surprise. On Wednesday 20 September, 1944, as British airborne Colonel John Frost’s remaining paratroopers were being mauled by SS Panzers at Arnhem Bridge, the tanks of the Grenadier Guards, along with US paratroopers, were tantalizingly close, destroying the last German defenses down the road in Nijmegen. Ironically, it was a young captain, who was also to chair the Bilderberg meetings in later life, Lord Peter Carrington, who was leading the Grenadier battle group of Sherman tanks as they took the penultimate bridge. At 8 o'clock that evening, he was just a 20-minute drive from reinforcing Frost at the Arnhem Bridge, and victory. Next week, at the Marriott Hotel in Copenhagen, the annual trade and policy summit held by the Bilderberg Group will throw open its doors for three days of top level talks, from May 29th to June 1st. I say “throw open its doors”... the doors will remain, as ever, firmly closed to the public and press. Unless you happen to own a newspaper, or run a publishing conglomerate, or be the Executive Chairman of Google, chances are you're not going. It's remarkable how many bank bosses and corporate CEOs manage to clear their diary, every year, for a full three days of conferencing at Bilderberg. Last year, BP sent its Group Chief Executive, the Michelin Group sent its CEO, while HSBC was represented by both the Group Chairman and the Vice Chairman. From Goldman Sachs came two board members, including their Vice Chairman. And Royal Dutch Shell left a skeleton crew back at headquarters: the company sent its Chairman, CEO, and CFO – and in case that wasn't enough, they also sent along a director, Josef Ackermann. Who's also on the board of Investor AB, the £20 billion asset management company. Which also sent its CEO and Chairman. You get the picture. All this corporate brass spending three days conferencing with media moguls and billionaire investors wouldn't matter so much, but for the fact that quite a few of the participants who get locked away with them are politicians. And senior politicians at that. Now, if you're in charge of HSBC, or Telecom Italia – or if you're Henry Kravis, running the famously aggressive $40 billion private equity firm KKR – then you might well regard such a luxurious length of private access to this many senior policymakers as something of a boon. Three days worth clearing your diary for. People often wonder what Bilderberg “is”. And the simplest answer is: a gigantic lobbying opportunity. A fair few of the corporate commandants who attend the conference also hold, besides their various executive roles and directorships, senior positions in large and influential trade associations and lobby groups – groups with snappy names like the European Round Table of Industrialists, the Foreign Investment Advisory Council, and the European Financial Services Round Table. One example: the current chairman of Bilderberg’s Steering Committee, which is the group’s governing body – Henri de Castries. Besides being the Chairman and CEO of the investment and insurance giant AXA, and the head of Bilderberg, he’s also a member of the aforementioned European Financial Services Round Table. And in his spare time he’s on the board of Nestlé. This is typical: pretty much everyone at Bilderberg wears a dozen different hats. The queue at the cloakroom after dinner is a nightmare. One of the best represented lobbying organisations at Bilderberg is BritishAmerican Business (BAB), a transatlantic, big business advocacy group, which boasts of being able to exert “regulatory influence” through “high-level representation to Government on policy issues”. For lobby groups like BritishAmerican Business, Bilderberg is Wimbledon, the Champions League and Christmas rolled into one. It's the Holy Grail of “access”. Never mind having to loiter around a lobby trying to flag down a passing politician, this is one lobby the politicians travel to themselves. Generally on a flight paid for by the taxpayer. Of course, none of the lobby groups or trade associations whose members are at Bilderberg are officially “there”. But membership of a lobby group is not something you take off like a raincoat at the door of the hotel. Douglas Flint doesn’t magically stop being a member of BritishAmerican Business’s International Advisory Board when he sits down for breakfast opposite George Osborne, any more than he stops being the Group Chairman of HSBC when he’s playing late night billiards with Christine Lagarde. Of course, BAB is just one of the business lobby groups currently banging the drum for TTIP. For example, the European Round Table of Industrialists (which is well represented at Bilderberg) is part of the “Business Alliance for TTIP”, the sole aim of which is to “advocate for the successful conclusion of TTIP”. Bilderberg grants these pro-TTIP advocates untrammelled access to the very people they’re advocating to: the politicians and trade negotiators. Present at the 2013 Bilderberg meeting was Kenneth Clarke, one of the government's key TTIP negotiators. Not to mention the seven Finance Ministers, and other assorted economic policymakers (see Lord Mandelson to your right). Cameron, of course, is the UK's representative at the European Council, which will, when the time comes, examine the negotiated trade deal and either pass it or reject it. So, you've got TTIP negotiators, TTIP lobbyists and TTIP arbiters, locked away together for three days, with no press oversight. It’s a heady mix. And considering that TTIP was top of the conference agenda (under the heading “Can the US and Europe grow faster and create jobs?”) it's hard not to see the conference itself as just another phase of the notoriously untransparent TTIP negotiations. In all of this, it's pointless looking to the lobbyists for greater transparency: it's entirely in their interests to keep the process out of the public eye. It would be like asking a fox to come up with ways to improve chicken shed security. Likewise, there's no particular reason why the various CEOs and investment fund billionaires at Bilderberg are going to want the press snooping around these discussions. They prefer to glad-hand EU Commissioners and schmooze Prime Ministers behind closed doors. As for the Bilderberg Group itself, it’s a private organisation, with a 60-year history of holding intensely private meetings: transparency doesn't tend to make it onto their agenda. With so many politicians present, it would be nice to see some proper minutes of these meetings published, but that’s not going to happen unless the press and public push for it. For now, if we want transparency at Bilderberg, it's going to have to be provided by the politicians. Luckily, many of them who go to Bilderberg are avowed champions of transparency. Like David Cameron (Bilderberg 2008, 2013) who launched a war on out-of-control lobbying in a speech back in 2010, when he attacked the “far-too-cosy relationship between politics, government, business and money”. In that speech, Cameron described lobbying as “the next big scandal waiting to happen.” At Bilderberg, that scandal happens every year. This year, it’s happening in Copenhagen, at the Marriott Hotel, from May 29th to June 1st. The Kokkedal Castle Copenhagen looks ideal as it is secluded and has golf facilities but it may not be big enough, unless Bilderberg are having to prune the guest list! Owner is Mikael Goldschmidt ... the Hotel does appear to be fully booked from 29th May 2014! I think a City Centre location is unlikely as the Bilderbergers do like a stroll around a golf course and security would be a problem in the City. May be worth considering Kokkedal Castle as the venue.